There is a buzz currently going on in the flooring industry, and its name is wood plastic composite flooring. 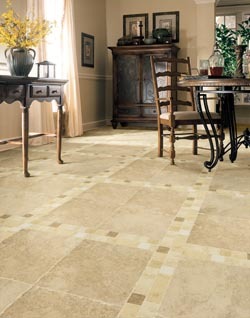 Luxury vinyl tile kicked open the doors for a new world of durable, attractive flooring options, and WPC flooring in Tacoma, WA, is looking to be the best of the bunch. How has it developed such a reputation so quickly? It is because you won’t find any other type of flooring that consistently knocks it out of the park for everything you are looking for in a brand-new floor. Made from wood plastic composite, this option is one of the only flooring surfaces that can say it is 100% waterproof. The Floor Trader of Tacoma has been so impressed with the durability, versatility, and attractiveness of this floor that we can hardly contain ourselves when it comes to showing it off to clients interested in the best of the best. Take out your list of things you want to see from your new floor. Now get ready, because WPC flooring is about to hit almost every one of your “must haves.” This is a floor that comes in a variety of very attractive looks and textures, including the ability to perfectly mimic both stone and wood looks. Unlike those two luxury options, WPC flooring is incredibly easy to maintain. A floor that looks like flawless hardwood or stone flooring, but is also virtually maintenance free? Now you are beginning to understand. Wood plastic composite flooring keeps on going with its long list of benefits. As mentioned before, this flooring option features a special waterproof core that makes it 100% waterproof. This makes it a great choice when you are trying to replace the coverings on an imperfect subfloor. It is also even more resilient than tile, which means you aren’t going to have to worry about scraps, dents, and other blemishes taking away from what you love about your new floor. It isn’t hard to install your new WPC flooring when you turn to a professional. We understand what makes this flooring option so unique and desirable and can correctly install it so you are able to reap all of the benefits that come with it. Reach out to us today to receive a consultation about this flooring option as well as to schedule your WPC flooring installation. Contact us to learn more about what makes wood plastic composite flooring 100% waterproof. Our WPC contractors are ready to provide installations for customers located throughout the Tacoma, Washington, area.